All of us at Midwest PROTECH would like to thank you for trusting us to service your computer. Is it time for you to have your PC optimized? This process is very important to keep your computer running the best it can and help you avoid having to completely start from scratch if your computer were to crash because of malware or system related issues that have gone undiagnosed before they become serious. Ideally, a computer should be optimized every 1 to 2 years. A PC optimization is a very important part of preventive maintenance to keep your PC from running slow and avoid “blue screen” issues and crashing. A slow PC can often be caused by Windows registry issues, malware and/or file corruption. Over time as you use your system, the registry constantly changes as you install and uninstall programs, add or remove files/shortcuts and doing tasks as simple as browsing the web. Other causes can be viruses, malware, expired or corrupted drivers, and uninstalled program remnants. We will identify and fix these issues. We comb through the entire operating system with a 37+ step process, updating all Operating System files, install all Microsoft updates, updated system drivers and the computer’s BIOS/UEFI, and remove all infections, malware, and adware. We never “Band-Aid” your PC when you get an optimization. When your computer’s optimization is finished, it will be performing as close to new as possible (oftentimes better than a new computer). We have clients that have a basic optimization every 6 months to reduce cost and keep their PC running at optimal performance at all times and this may be a good solution for you as well. We can even perform much of our standard optimization service remotely as well, so there is no need to disconnect all wires and haul your computer into our shop! Please feel free to call with any questions and/or to set up an appointment. Here are a few Q&A’s that we think will help you understand how we “Optimize” your computer and what this will mean to you when you receive the computer back and set it up at home. 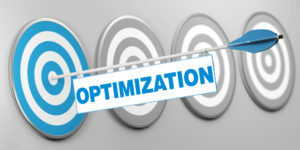 What is a PC Optimization? Remove malicious malware and virus software from your computer. Remove unnecessary programs and files, such as after-market registry cleaners and other optimization programs that could harm or slow down your computer. Reset your Internet Explorer browser to factory specifications and clean up any other browsers that you might use. We also remove unnecessary toolbars, search engines and other items that may have been installed but are not needed. If indicated, we’ll do a complete hardware inspection to identify problems such as failing hard drives, computer memory issues, and other hardware problems. Check your anti-virus protection and recommend how you can best protect your computer going forward. Reinstall some after-market software that was installed on your PC after you purchased it. Reinstall printers, web cameras, and other system devices that may have been uninstalled during the optimization process. Reconnect to any wireless systems that may have been automatically connecting (just rejoin the wireless network with your usual password). Answer security questions and re-enter passwords to access secure websites such as banks, PayPal, and others. How long does the PC Optimization take? Generally, we can have your computer ready for you in 3 to 5 business days. If there are extensive problems the repair may take longer. Most repairs from our competitors in this area can take up to 2 -3 weeks. Please feel free to contact us for an update if you have not been contacted within 5 days. Remote support optimization is by appointment and will require a good part of the day. What about my data (documented, pictures, music, etc), is it safe? The PC Optimization process does not change or remove any of your data. If during our hardware testing we find potential hardware failures, we make a full backup of your data before we start any optimization work. What if the PC Optimization still does not repair my computer? This does not happen very often, but there are times when the Windows operating system or hard drive has been so badly corrupted by malware or other system related issues that the only solution is to reinstall Windows. We will let you know if this is the case and recommend a course of action. Reinstalling the operating system is always a last resort because you will need to reinstall any after-market software and hardware you had previously installed. The good news is, we will usually be able to restore your data files and many of your settings for you, even after a complete operating system reinstall. What if I need help to set up the computer at home? If you need help setting up your computer when you get it home, we will be happy to provide remote support or on-site setup which typically takes less than 30-minutes (a one hour minimum for an on-site visit) and is billable at our normal hourly rate.